Do you like Jerry's Bombing Helicopter? Share it with your friends. 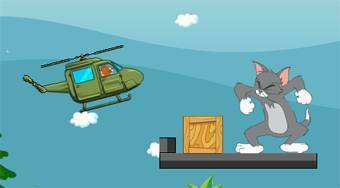 Jerry's Bombing Helicopter - playing a role of the mouse Jerry pilot a helicopter dropping bombs so that you destroy all cats Tom on the game board.